To connect SAMBA to external devices you need the Siemens miniTek*, which is an optional remote control and wireless accessory for SAMBA. It is smaller than the standard remote control and can be attached to clothes. The Siemens miniTek allows you to connect wirelessly to your phone, TV, tablet, wireless microphones, and other devices. The miniTek is ideal for streaming audio to your SAMBA via Bluetooth. Simply pair the miniTek with your Bluetooth-enabled phone, tablet, or TV, and the miniTek will send the sound directly to your SAMBA, giving you clearer sound quality and making it easier to hear. 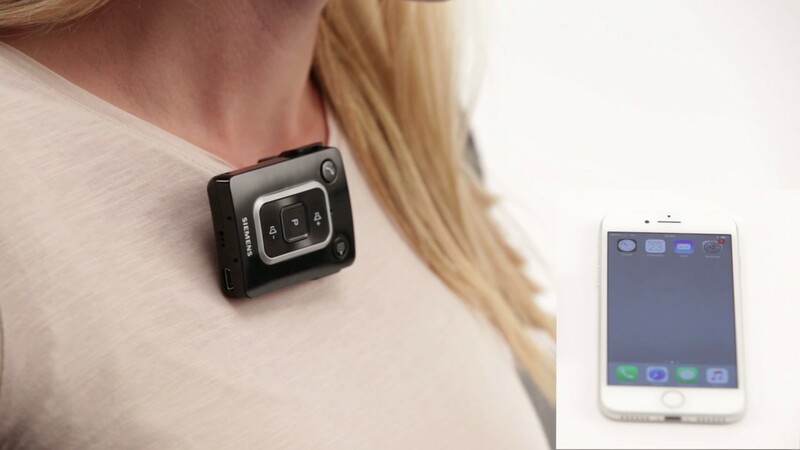 When talking on the phone, your voice is also picked up by the miniTek microphones instead of the phone’s, enabling you to make hands-free calls. FM systems are designed to let you hear a speaker across a noisy room, for example in the classroom, at a conference, or in a place of worship. If the speaker wears a wireless microphone, the miniTek can pick up the sound and send it directly to your SAMBA. This makes it much easier to hear what is being said, even if there is background noise. Many cinemas, museums, sports stadiums, places of worship, and public venues are equipped with audio induction loops, often known as “telecoil loops”. Facilities with this technology usually have a blue sign in the entrance area, showing that it is available. An audio induction loop transmits sounds, such as loudspeaker announcements, which are picked up by the miniTek and then sent directly to your SAMBA. 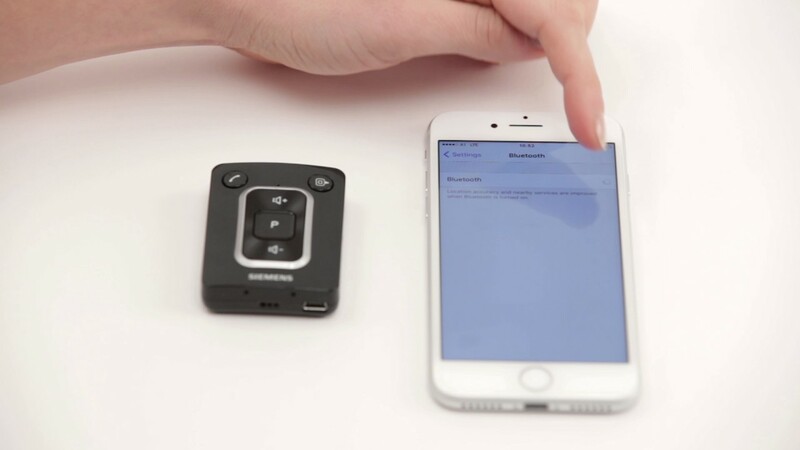 If your device is not Bluetooth-enabled, you can plug in the miniTek transmitter, which will send the sound to your miniTek and on to your SAMBA. The transmitter can connect to the miniTek from up to 10 metres away, making it ideal for streaming sound from your TV across the living room. The transmitter is included with the miniTek. It is possible to connect various audio devices—for example an MP3 player or tablet—to the miniTek using an audio connector cable. The miniTek then transmits the audio signals wirelessly to SAMBA. Various common connectors are included with the miniTek. The Siemens miniTek, sold separately, is a remote control offering wireless connectivity* for the SAMBA Audio Processor. To find out more about using the Siemens miniTek, please read to the manufacturer's instructions. You can also learn more by watching the hands-on videos below.